February is a very unpredictable month; it may be the coldest month of the year with snow and ice, or on the other hand it can be a month of unexpected sunny days which lull you into the false security that spring is just around the corner. You then rush to get started on sowing in the vegetable patch, only to get very disheartened when winter returns! 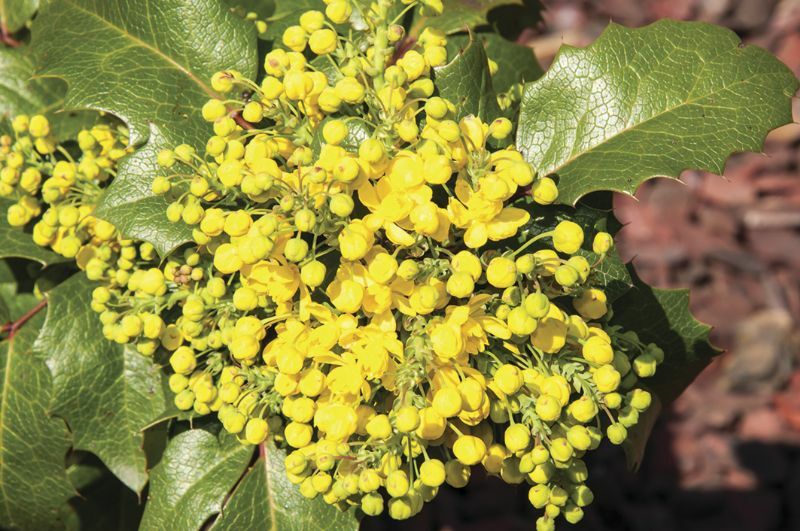 Some trees and shrubs are at their best in this unpredictable month, which is quite surprising. As there are not many pollinating insects about at this time of year they can be quite sweet scented so as to attract the few bees that are around and foraging. Think of the witchhazels (hamamelis mollis), the spikey Mahonia, the lovely Daphne odora ‘Aureomarginata’, or D. mezureum. My clematis cirrhosa is another good plant for this time of year. It attracts bumblebees even in very early spring to feed on the lovely flowers that dangle down from the archway that I grow it over. Now is a good time to turn the compost heap, especially if you are still carrying a few extra pounds from Christmas! After you have turned it, keep it covered up and you will soon have lovely crumbly compost to add to your veg patch or to use as mulch around the beds. 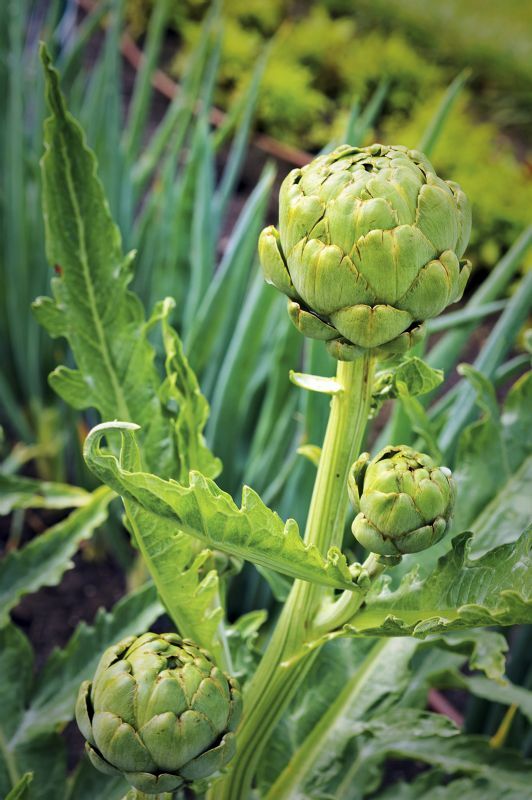 Why not try your hand at growing globe artichokes this year? They are really very decorative at the back of a border. You can grow this month from seed, two seeds per 8cm pot. Germinate at 18°C. Remove the weaker of the two seedlings, and set the plants out in late April. If the soil is relatively dry you can give your lawn its first cut of the year. It is best to raise the blades of the mower to take off just the tips of the grass, and then as the weeks progress you can lower them to get down to the shorter levels. This technique stops the grass being weakened and inviting moss and weeds into the sward. The yellow flowers of winter jasmine are a welcome splash of colour throughout the winter. If left unpruned they turn into a woody mess – now is the time to prune them as they are just about finishing flowering. Cut back flowering shoots to within two or three pairs of buds of the main branch, leaving the framework intact.